A great and fun managerial game . 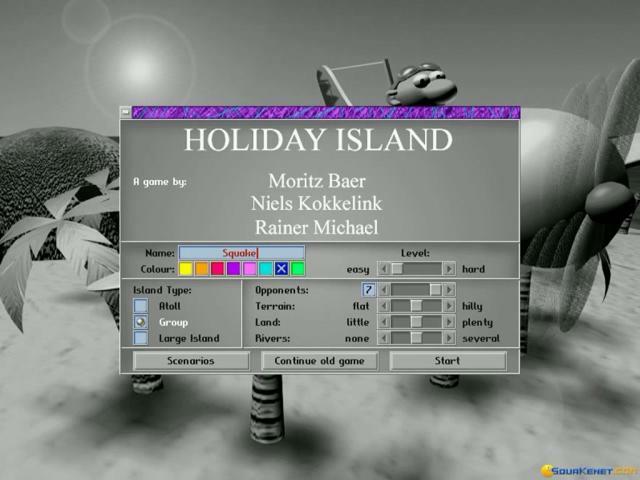 Holiday Island is a 1996 simulation game with the same style as a popular city-building and urban planning video game, only that your citizens will go on a well-deserved holiday! The destination? An island! You have to create a reputed hotel resort on the Carribean Isles, and you have to spread the word about this location, but only if you know how to attract tourists! 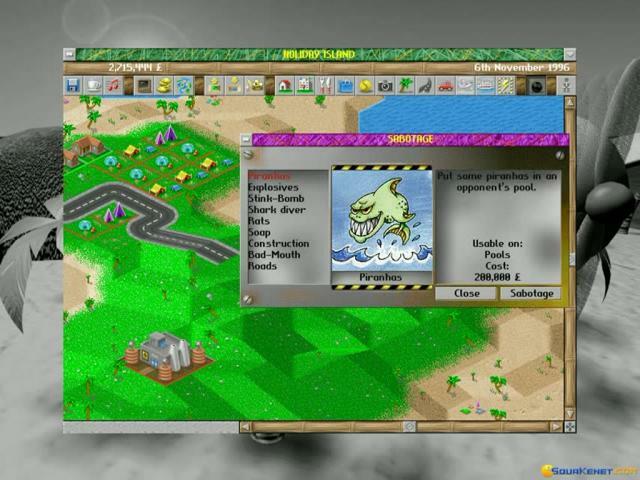 The really exciting fun stays in the possibility to sabotage your opponents with various options full of humour. Among the dirty tricks adopted by you are included the options to send rats at their resorts or toscare the people by sending false bomb threats. Ha ha, and I remember how I laughed about it. Before starting, you can pick one of the 6 scenarios with different targets and missions, or you can begin a game whose progress will never end, being influenced by your actions. 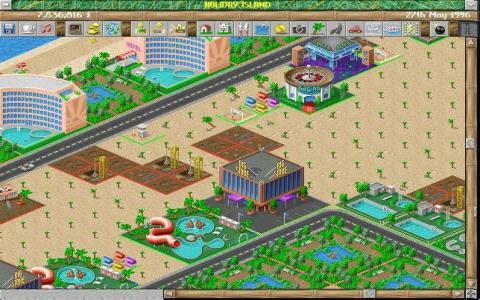 The game features sixty buildings, and some examples are: kiosks, parks, zoos, hotels, airports, bars, car rentals, sport facilities, discos and many more. The graphics are pleasant to watch, and also nothing to complain about the sounds department. 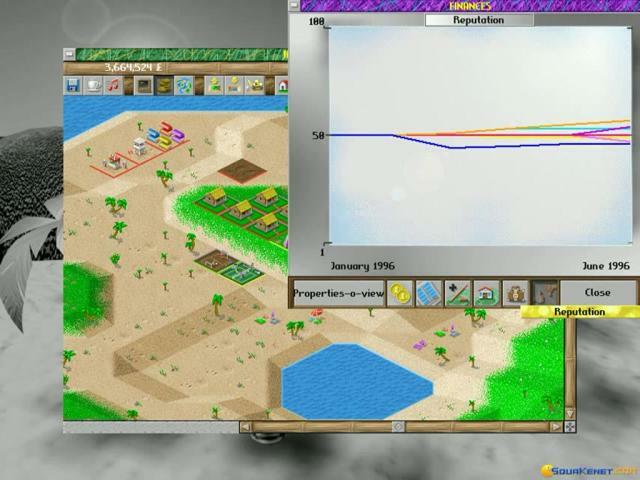 Can you turn your island into a paradise where everyone comes to enjoy their vacations? 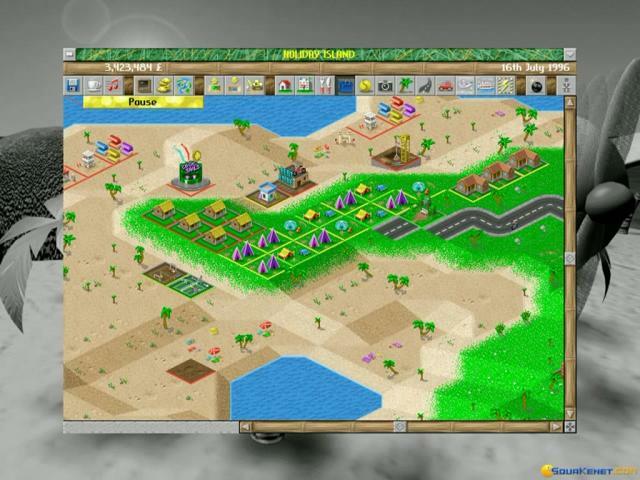 Play this game to have a great time and to manage your business while having a good laugh! 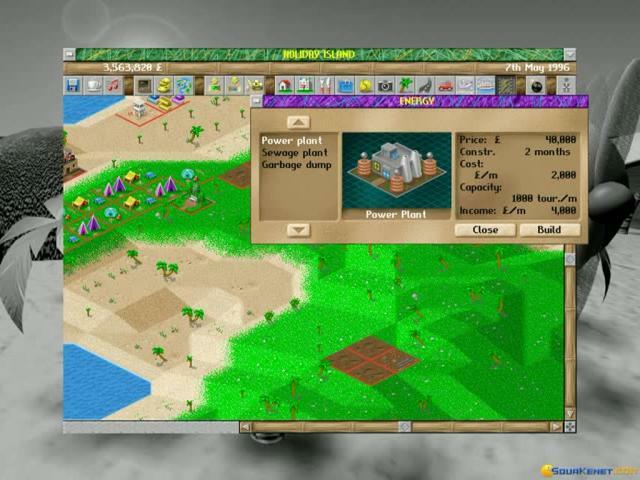 Organize your resort. 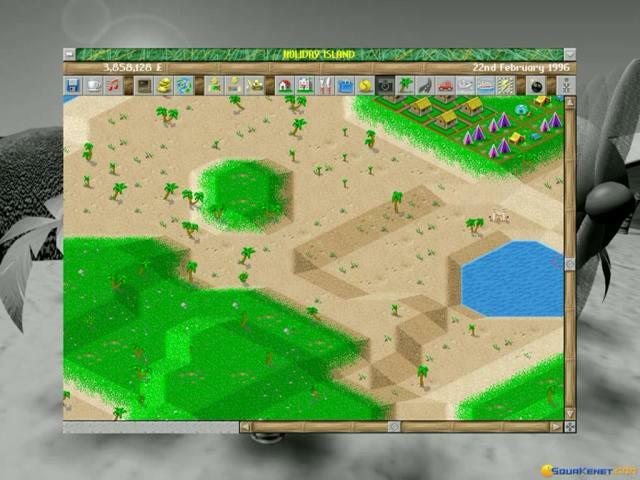 This is a really funny game you have to organize a perfect hotel resort. 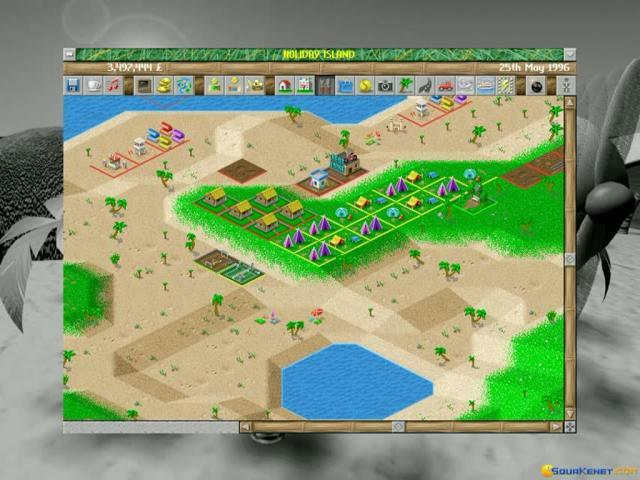 You can start with tents or small hotels and your guests need some experience in a helicopter or beach volleyball field, so build it to. 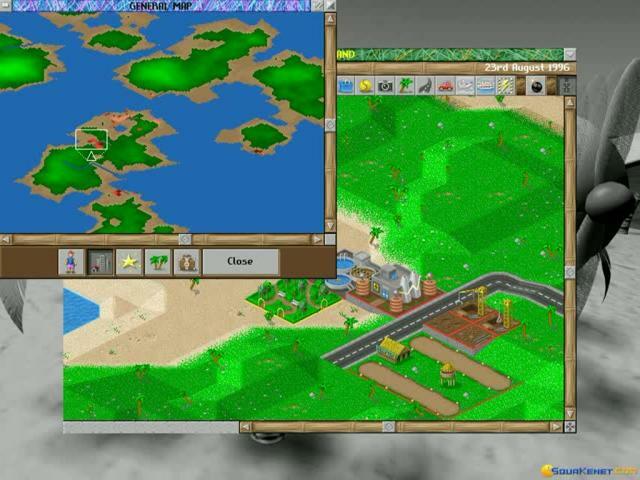 You play with several computer opponents, but if they are to strong you have different options to get them out of the game. you can bomb their hotels or send them a little gift like rats. 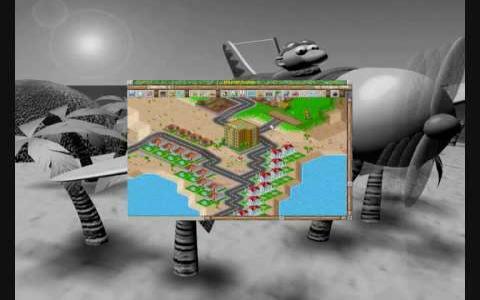 An easy business simulation with fun.